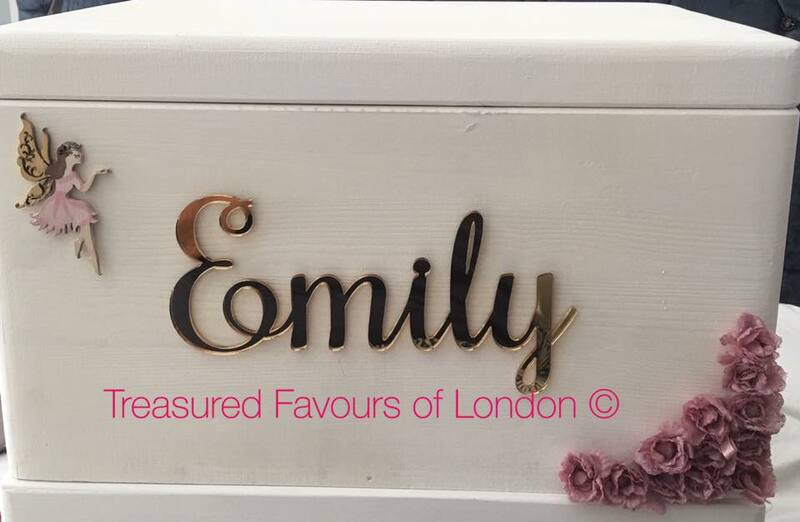 Wooden Christening box with gold mirror acrylic name,3d hessian flowers and wooden fairy. Price of the wooden boxes varies on each one. All are made specific to your requirements and because they are either hand painted or decorated it all depends on the amount of work needed for each one.